How Much Did We Get? : Snowfall Totals for D.C., Md. 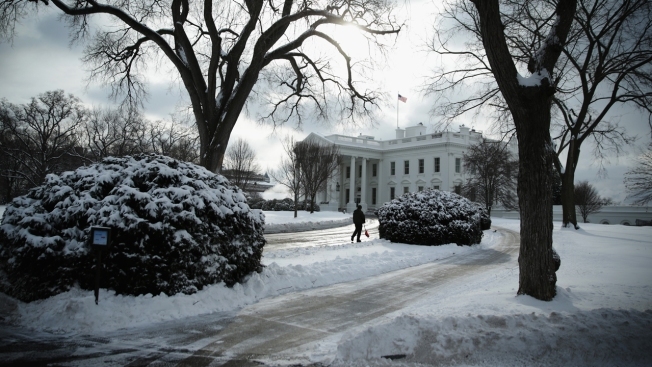 and Va.
A National Park Service employee holds a shovel as he walks on the driveway of the White House February 17, 2015 in Washington, D.C. The first major snow storm of the season hit the Washington, D.C. area with several inches of accumulation, closing local schools and shutting down the area offices of the federal government. The season's first major snow storm left D.C. residents with several inches of snow to clear -- and play in -- Tuesday. The storm dumped at least 4 inches of snow on the D.C. metro area, with areas south of D.C. receiving a few inches more.